Bunged up as I am with a head-cold I am in need of comfort food. 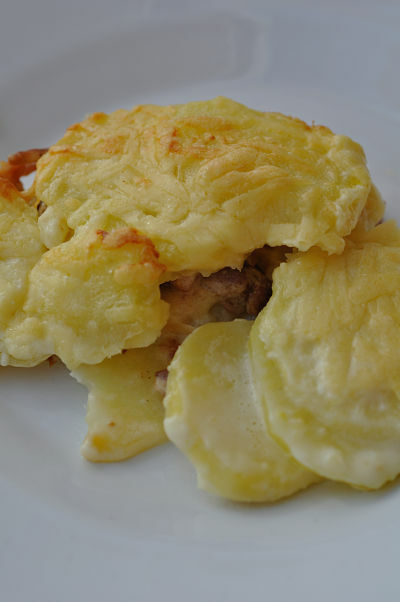 This variation of a potato gratin is based on Paul Flynn’s (The Tannery Restaurant) ‘Cheddar cheese, smoked ham and parsnip bake’ and is exactly what I will be looking forward to this evening. I cooked one earlier this week and placed it in the fridge for reheating later – it was to be served with bacon and cabbage as I thought the creaminess of the potatoes would save me having to make a sauce. On my return that evening from one drop-off or another I pulled the tinfoil cover off the top to be greeted with a half-empty baking dish. No prizes for guessing that the always starving, 14 year old boy in the house had been the offender and was now happily sated, albeit temporarily, and had thrown himself onto the couch while his mother squawked pointlessly. The half we had left was supplemented with some mashed potatoes and white sauce while forks fought to scrape up the remaining cheesy bits in the baking dish. It was a perfect accompaniment to the bacon and cabbage but as the teenager will attest it is also heaven on its own. 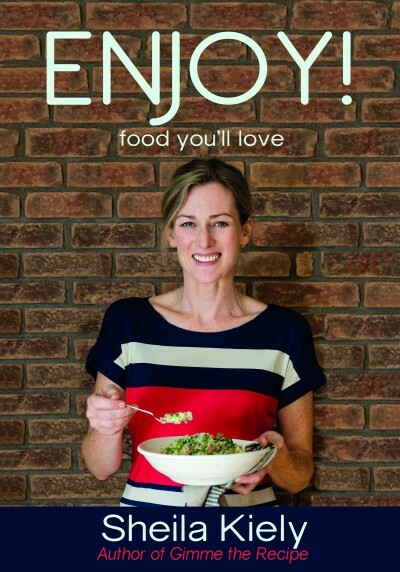 If you feel in need of TLC and comfort food this is it. A variation of this recipe is a ‘Smoked Salmon Gratin” which is to be had over on CookwithAvonmore where Paul Flynn will personally guide you through this and a number of his other recipes on videos. 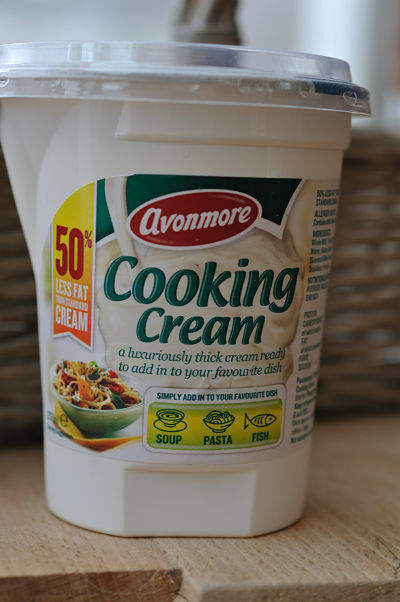 This was my first time to try out Avonmore’s Cooking Cream – I like the pouring spout and the fact that it has 50% less fat than standard cream can’t be a bad thing either. Serves 6 as a side dish or 1 to 2 greedy people as a complete meal. A little butter for greasing the baking dish. Pre-heat the fan oven to 160C / Gas Mark 4. Heat the oil in a frying pan, chop up the rashers and cook them in the pan until beginning to crisp up over a medium/high heat. Peel and thinly slice the potatoes and parsnip. Place the sliced potatoes, parnsip and garlic into a saucepan with the milk and cooking cream and bring to a gentle simmer for 15 minutes. Stir regularly, coating the potatoes and parsnips with the creamy milk until the potatoes are almost tender. Use a little butter to grease a baking dish and pour in half of the potato mixture spreading it out into the dish. Scatter the cooked rasher on top and then pour the second half of the potato mixture on top. Grate the cheddar cheese on top and cook in the oven for 30 minutes until golden. 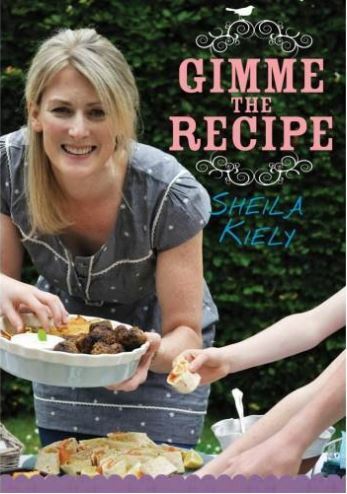 This looks absolutely gorgeous, perfect comfort food for the cold evenings. 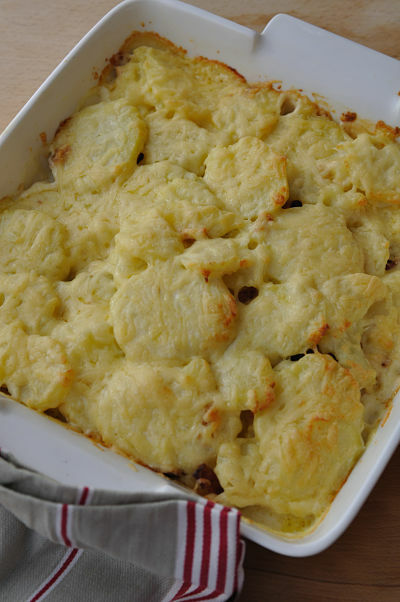 Never thought to use Parsnip in the gratin, the lads will love it! Can’t wait to try this….looks the ultimate in comfort food….had been looking for different ways to the use great crop of parsnips in the garden this year. Hope you’re feeling better, Sheila! Lots of nasty bugs going around at the moment. Definitely a nationwide need for comfort food, for sure! I love parsnips, so I must give them bake a go. Looks really delicious. Thanks for the recipe! I made this tonight and guess what? Avonmore’s new carton for cream is 250ml, just like we were talking about with them at that lunch! Hi Kristin and thanks for the comment. Measurements are nicely rounded for the cooking cream and the single cream but the double cream is still 229ml!